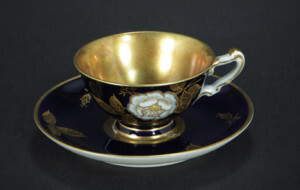 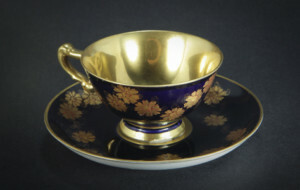 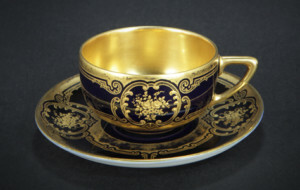 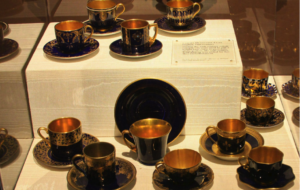 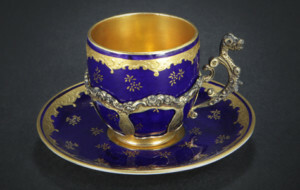 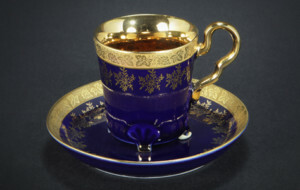 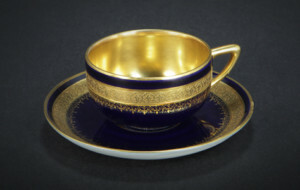 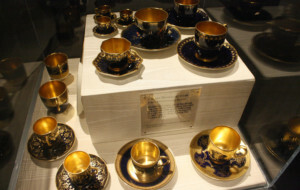 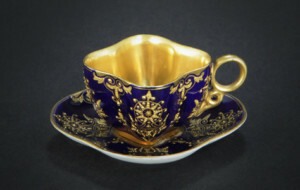 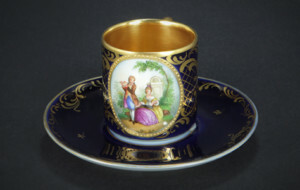 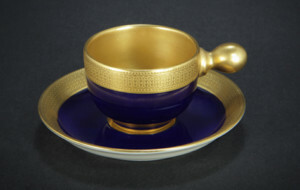 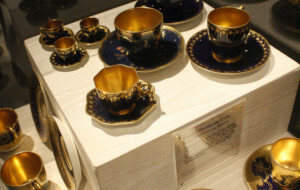 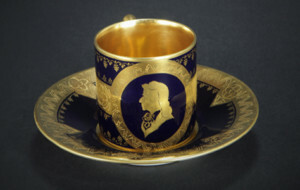 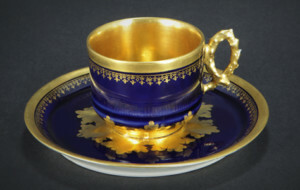 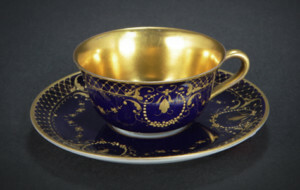 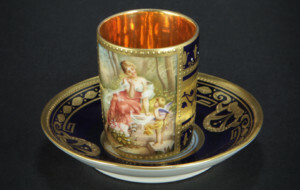 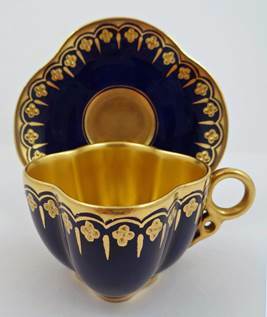 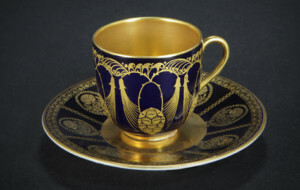 The Knohl’s nearly two hundred gilded cobalt demitasse and miniature cup and saucer sets, from the seventeenth century through the nineteenth century, represent the finest manufactures and craftsman from both Europe and the United States. 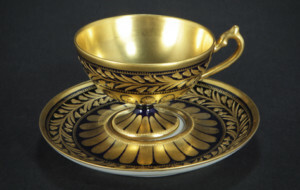 The growing dissatisfaction with industrialized mass production inspired artisans to create flawlessly decorated ceramics – relying on their skill and artistry, rather than industrial machinery. 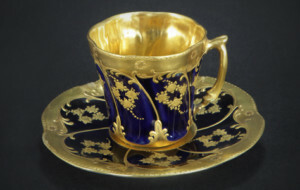 Cobalt compounds were used to add a bright blue color to porcelain, and delicate gold gilding was applied for further embellishment. 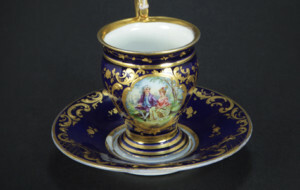 These lavishly enhanced porcelain cups and saucers were purchased by wealthy aristocrats to display their status and opulence.